In last Saturday’s Ask BoondockBob in the RV Travel newsletter a reader asked about dumping gray water onto or into the ground rather than driving to a dump station when boondocking. Judging from the response to the question and having written about this practice before, it appears that the question (and lack of good answers) is still paramount in many RVers’ minds, especially boondockers. If you have stayed at Forest Service campgrounds you may have also seen designated gray water dumping places in the campground. Unfortunately, the rules for dumping gray water can vary among public lands managers like the Forest Service and Bureau of Land Management, and also among states. Thank you for your recent questions regarding recreational vehicles (RV) and dispersed camping on BLM lands in Arizona. The answers to your questions are more complicated than originally thought. Although the Code of Federal Regulations (CFR) found at 8365.1-1 (3) generally excludes “wash water” from BLM’s prohibition against draining or dumping, it can be specifically prohibited by Supplemental Rules issued for a specific area. This applies equally to RVers and tent campers. There are two locations in Arizona where draining wash water is specifically prohibited by Supplemental Rules that have been established and were published in the Federal Register. They are the Long Term Visitor Areas outside of Yuma, Arizona, and Hot Well Dunes Recreation Area east of Safford, Arizona. A note of caution to your audience: Under State laws and regulations in Arizona, “wash water” or “gray water” from a kitchen sink or dishwasher is classified as sewage. 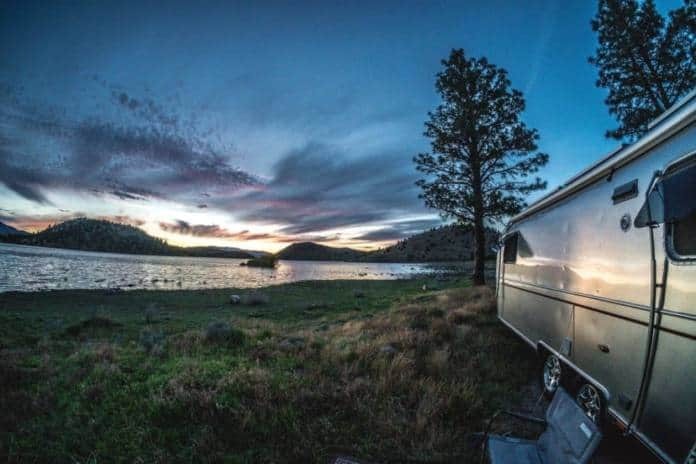 If discharging it onto the ground from a RV or camper might cause it to enter an aquifer, the visitor could be subject to violation of State of Arizona regulations unrelated to BLM regulations. Even if the gray water is from a clothes washer, bathroom sink, shower, or bathtub, it can only be discharged if done so according to the “General Permit” practices that would apply. The practices are explained at the Arizona Department of Environmental Quality. In addition, if the gray water creates a hazard or a nuisance a Law Enforcement Officer can cite (or in extreme circumstances arrest) an individual. This would go beyond simple gray water dumping, and the citation would likely be for some other offense related to degradation of resources or public health and safety issues. Law Enforcement Officers in the field have discretion in applying the laws and regulations as necessary and appropriate to protect the natural resources on the ground. That may be about as clear an interpretation of the rules as we’re going to get. But the bottom line seems to be that if you follow an environmentally safe protocol you will be unlikely to receive a notice to stop or a citation. But remember also that a lot depends on the individual ranger whether to ticket or not, so your common sense behavior and civility may be the deciding factor. • Scrape all food bits off dishes, pots, pans and cooking utensils into the garbage before washing. • Wash and rinse dishes in dishtubs and take several yards away from campsite and dump on plants (no water goes into the gray tank). Empty tub at a different place each time. • If you do fill up your gray tank, dump only as much as necessary to avoid gray water rising up into your bathtub before you are able to visit a dump station. • Dump your tank into a freshly dug hole as slowly as possible to allow water to soak into soil and not overflow onto the ground. • NEVER dump your black tank into anything other than a dump station or sewer connection. • Consider using a portable waste tank (Amazon.com) and/or a macerator (article). Read more about boondocking at my BoondockBob’s Blog. Check out my Kindle e-books about boondocking at Amazon. The rules are clear as mud…. I’m still scratching my head as to why you are allowed to dump wash water, but not gray water that contains wash water. If you are caught dumping gray how do you convince the ranger that you put no wash water into it? All these rules make me want to stay on a campground.